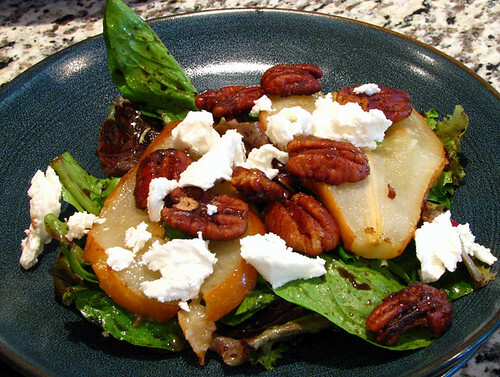 Make one or two preparations of Caramelized Red Pears, depending on how much pear you like in your salad. 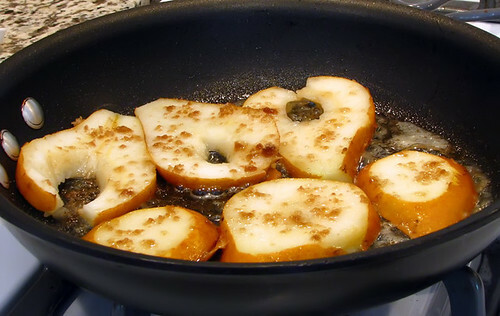 NOTE: You will notice that the link takes you to a recipe for Caramelized Apples. 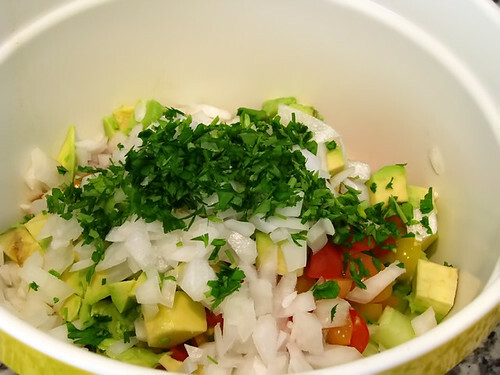 Just substitute Red Pears and follow the rest of the recipe as posted. When done, remove pears from heat, place on a plate, cover and refrigerate. I like to make them at least an hour before needed so that they cool completely. 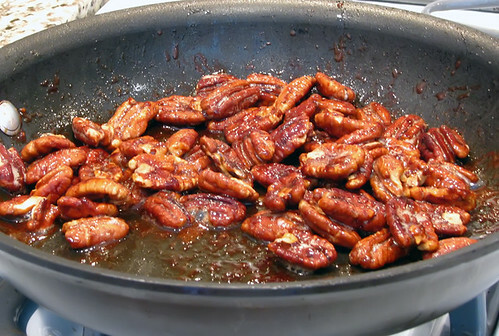 Next, make one preparation of Candied Kahlua Pecans and set aside to cool for at least one hour. Make one preparation of Cavinaigrette and set aside. This should be made at least 20 minutes in advance of use. 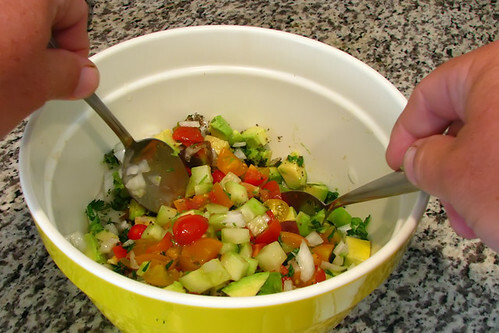 Place spinach and greens in a large mixing bowl and toss with the dressing. 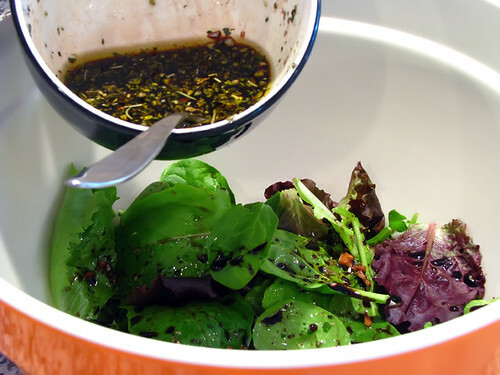 Evenly distribute coated greens onto individual salad plates. Place slices of pears on top of greens. Then throw a handful of the pecans onto the dish. 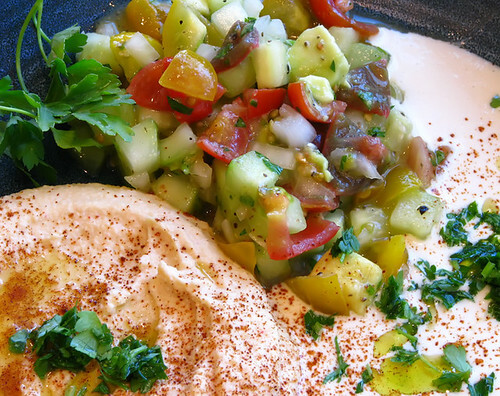 Finally, crumble up some of the goat cheese and sprinkle over the salad. Enjoy! This one perfectly complimented a main course of King Crab Risotto.